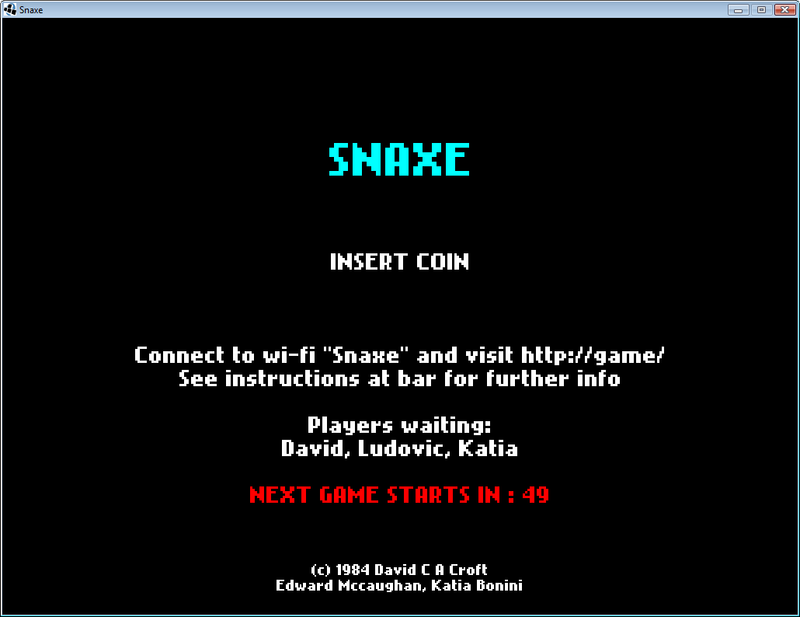 The 'insert coin' screen is improved and the countdown now depends on the number of people queued. With only two people queued, it'll wait 60 seconds, with eight people queued it will start immediately, with a sliding scale in between. Also brought in my home router and spent a while setting that up for open access and set up a DNS server running on my laptop. Next up: Snake colours still annoy me because of the faux-mobile phone background colour. Integrate new graphics. Add speed powerup. 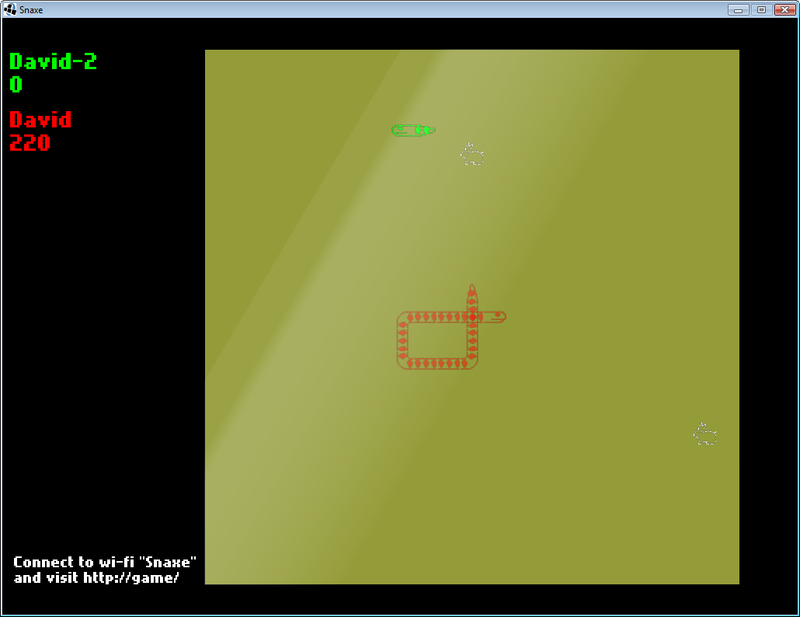 Spawn the powerups in an intelligent manner. And print out an instruction sheet.